Sure, just do the decrtyped version for timing's sake. Aladore's handy tutorial should guide you through the rest. Also I would start at offset 000000A4 which is the 41 seen in the screenshot. I always personally get nervous about editing the first gem of the bunch, but feel free to do otherwise. Yup, happy to help. Just keep in mind if you edit the gems beyond the normal amount (so more than three effects on the gem) the added stats won't appear on the gem's window, but they will still be there. So if you put three plus 28% physical attack and then +33% blood in that order, you'll only see the physical attack, the added blood attack will still be applied though. zachillios wrote: Sure, just do the decrtyped version for timing's sake. Thats so evil haha thank you so essentially you can add effects until you run out of FFFF lines? Yes, exactly. I got my weapons strong enough I was hitting 12k a hit. Just be careful you don't accidentally edit into the next gem because that will break the gem, and those are next to impossible to get rid of. What gems did you use to hit that much?? Say someone (me) wanted to start the game with a good gem. Could I kill the Executioner in Yharnam and edit that gem? That way you don't have to go through the chalices or other bosses. Could save some time, which is my end goal here. If so, does anyone have the enemy/boss ID for the Executioner? He's the only enemy that drops a gem that early in the game, as best I can remember. Or is there another way to look up the gem he drops? JDFRED06 wrote: Say someone (me) wanted to start the game with a good gem. Could I kill the Executioner in Yharnam and edit that gem? That way you don't have to go through the chalices or other bosses. Could save some time, which is my end goal here. You can, use the pictures I posted above to locate your gems. They're found extremely early in your save data, so just look for the gem format in that area. 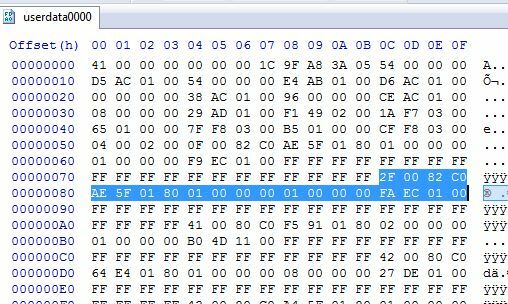 Also, for anyone wondering, the enemy ID for the Executioner in Yharnam is 26 60 01 80. This is an easy way to get decent gems early. You'll just have to wait until you get the bloodgem workshop tool. Or you could use the save wizard to change a pebble into it, I guess. Much easier to get to meta levels with good gems without all that annoying farming. It was easy to make a 27.2% gem with a stamina down curse. have you found a higher hp up gem by any chance? mrshavargo wrote: have you found a higher hp up gem by any chance?